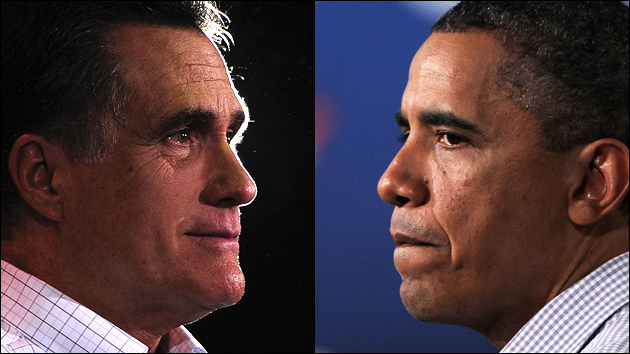 Can Romney Debate Obama? | What Would The Founders Think? The president’s three favorite debate tactics are straw man arguments, false representations, or declaring how much worse things would have been without his dazzling actions. None of these are legitimate arguments. In the first, he is arguing against a fictional opponent, in the second distorting history, and the third cannot be disproved. All three are rhetorical deceptions. President Obama loves straw man arguments. He’ll say Republicans have railed against regulations, and thus want dirty water, foul air, and toys that kill children with lead poisoning. You cannot find any person who has ever said this. It is a fictional fabrication that allows Obama to portray anyone against excess regulation as against the environment and children. Whenever you hear President Obama say something along the lines of some have said, or you hear from the other side, Google the accusation. Most probably, the only references that will pop up will be from Obama himself. Obama has increased the national debt by an unfathomable five trillion dollars in a mere three years, but he not only claimed to be thrifty, he actually claimed to be the thriftiest president in modern history. He says Bush deregulated the economy, but regulatory budgets increased by 42% during the Bush presidency. He claims the Bush tax cuts impoverished the nation, but tax revenue during the Bush years was 18.5%, above the post WWII average. He even claims the private sector is doing just fine. These are not accidental distortions or innocent mistakes … unless we have been misled about the intelligence of the president. Then, of course, things would have been much worse without Obama’s guiding hand on the tiller. The recession would have turned catastrophic, the housing collapse more severe, and bin Laden would certainly still be alive. The stimulus worked, his auto bailouts rescued a national treasure and saved trillions of jobs, and ObamaCare will solve our deficit and healthcare issues simultaneously. The drumbeat narrative is that the economic collapse would have been far more severe without the president’s brilliant leadership. This storyline hopes that we forget about the S&L crisis, the .com collapse, 9-11, and stagflation under Carter. The problem for Romney is that he feels a need to respond to all this silliness. He should not. Obama wants to control the news cycle by throwing out a distracting story every week. Whether Romney responds or keeps to his own message, the mainstream media will continue to broadcast President Obama’s bombasts as fact, and put Romney’s counter-arguments toward the end of the newscast or article. The calling out of Obama’s false arguments is not worth it, and it’s playing right into his hand. I have never run for office, so my advice may be worthless, but my recommendation is that Romney not debate President Obama long distance. Romney needs to paint a picture of a robust and free America and explain how he will get us there. On the campaign trail, he should never waver from his vision and plans. The televised debates are another matter. There will be no intermediary manipulating the exchange. He must come prepared with facts and correct information and be willing to challenge Obama on his misrepresentations. Obama is sure to make outlandish and false statements. If Romney can counter them live, time after time, he can destroy President Obama’s credibility. If he can make America see that Obama may speak well, but his words are balderdash, then he will be the next president of the United States. James D. Best is the author of the Steve Dancy Tales and Tempest at Dawn, a novel about the 1787 Constitutional Convention. Look for his new book, Principled Action, Lessons from the Origins of the American Republic. James D. Best… D Worst political hack. Odd user id. Perhaps you can return and argue the issues instead of name calling. I don’t want to resort to name calling, but this is not a balanced article by no means. What you are basically trying to do is distance the current economic situation from the Bush administration thus indirectly putting most of the blame on Obama’s shoulders. I do think the debates are important and if Mitt Romney does not come out with a viable plan to somehow magically heal the economy he will lose. This recession was almost as bad as the one in 29. Recall how much time it took then to recover and yet this recession didn’t feel as bad as that one. There are plenty grounds to criticize Obama on, the most pertinent one is not having a bigger stimulus and not realizing how deep the recession really was. So yeah, from my point of view you are dead wrong. Let’s enjoy the debates shall we? Partisan hacks like you are not open for debate as facts simply become a nuisance to you and your crusade. But there are plenty of morons in the Republican party that buy into the same garbage that you write about, so have fun with that. Jim, well I guess he showed you. I wonder what “facts” he is referring to? Um, you commented here right? How much more open to debate do you need? If you’re so concerned with debate Mr The Truth why don’t you start one? Instead of flinging stock talking point insults. Just a suggestion, assuming you have a desire for anything more than demonstrating your fine liberal bona fides. I’m just wondering when the debates between Romney and Obama are going to be? Debates are where Gingrich would tear Obama a new one, but oh well. Hopefully, Romney has enough sense to seek Gingrich’s advice on the art of debate, and will mimick Gingrich’s debating style as much as possible. October 3, 16, 22. VP debates on October 11. This is bunch of crap. Anything to secure a better future for the rich and powerful, eh buddy? Because that’s what’s gonna happen. DO you honestly think Romney and all the industry tycoons care even the slightest about the average American? You’re on the dark side. Historically, wealth and power corrupts absolutely. Maybe that’s the history you should be paying attention too. Yes. I honestly believe Romney and all the industry tycoons care about the average American. I do not believe President Obama and his crowd care a wit for average Americans, except as subjects who owe them their vote. The average American lived better under Eisenhower, Reagan, and Clinton than under Roosevelt, Carter, and Obama. Words and progressive ideas will not feed a family. All I can do at this point is kind of feel sorry for you for being so blind and misinformed. Its unfortunate that so many of my fellow Americans are willing to trust people who have an entire laundry list of lies and corrupt activities that negatively effected our country. These people have spent billions to brainwash folk, and you are a victim. It’s like an Orwell novel, how devisive the GOP has become. War is Peace. Ignorance is Strength. Hate is Love. These race through my head whenever I watch the GOP in action. Its amazing how they cannot know the extent of their brainwashing, especially with the internet at hand. Its ok though, we are gaining in numbers always. Sigh…can’t you liberals actually SAY SOMETHING? I’ve heard that there are intelligent liberals, people I trust have reported sightings to me, but among the 10 millions comments on the blogosphere I’m not sure I’ve encountered one yet. Case in point: simply stating a thing doesn’t make it true. Pretty basic but it escapes you. Your post has no content at all just empty repeated sloganeering. Has it ever crossed your mind that you need to prove allegations? 750,000 jobs being lost a month when Obama took office, and jobs are now finally being created, and you say that his claims about the effects of his stimulus are deceptive rhetoric? You seem to have a very narrow view of how stimulus works and the length of time needed for it to work, and as for the 5 trillion added debt, there is a host of factors, not least that thanks to republican screw ups, government tax revenue was reduced greatly. I would rather want to hear Romney’s actual views rather than his gop rhetoric, but even then, big business’ key interest is profit, not the well being of others, if an advance in technology allowed them to cut half of their workforce because it was cheaper and ultimately increased their salaries, they would in a heartbeat. As for the strawman argument about regulations, its implied that they don’t care about such issues as water purity since they want to strip funding from the EPA and other such agencies – look at the ridiculous debate on renewable energy as an example. Solyndra failed because of Chinese manufacturers flooding the market with cheap solar panels, because the Chinese don’t debate about the existence of climate change – they see the benefits in renewable energy and they just do it. The Republican party has ultimately caused the weakening of the American economy and American influence as a whole. Finally, a liberal who actually says something! It’s all wrong but I’ll give you an E for effort. Please click through and you’ll see that apparently the Obama Administration also doesn’t know how stimulus works and how long it should take. Considering that unemployment is far worse than they projected it would be WITHOUT stimulus. Maybe they just need you as an adviser with your knowledge of all things Keynesian? You mean like happened in the industrial revolution? Prior to that 80% labored in agriculture, but mean private enterprise developed the technologies that freed them from that back-breaking labor and loosed a 100 fold increase in material well being over the next century. This is called innovation, and it results in people being put out of work, it’s true, on the way to creating new jobs, with better pay, hours and working conditions. All of which happened before regulation, without governement intervention in a time of laissez faire. So? What’s the point? That it really would have been a good investment if the world was totally different? I guess we just can’t fathom the far-sighted genius that can predict economic success in an alternate universe. No need to prove this of course, because all right-thinking folks agree? well the president worked his three favorite debate tactics tonight! I think romney was the “winner” of this first debate. Interesting read. I was watching with some fascination from this side of the pond (2am start, ugh!) and thought that Mitt Romney came across ‘presidentially’ and that Barack Obama had none of his 2008 fight about him: with the possible exception of the President’s barbed comment about Romney’s difficulties in sitting down on Day 1 with Democrats at the same time as trying to dismantle Obamacare.